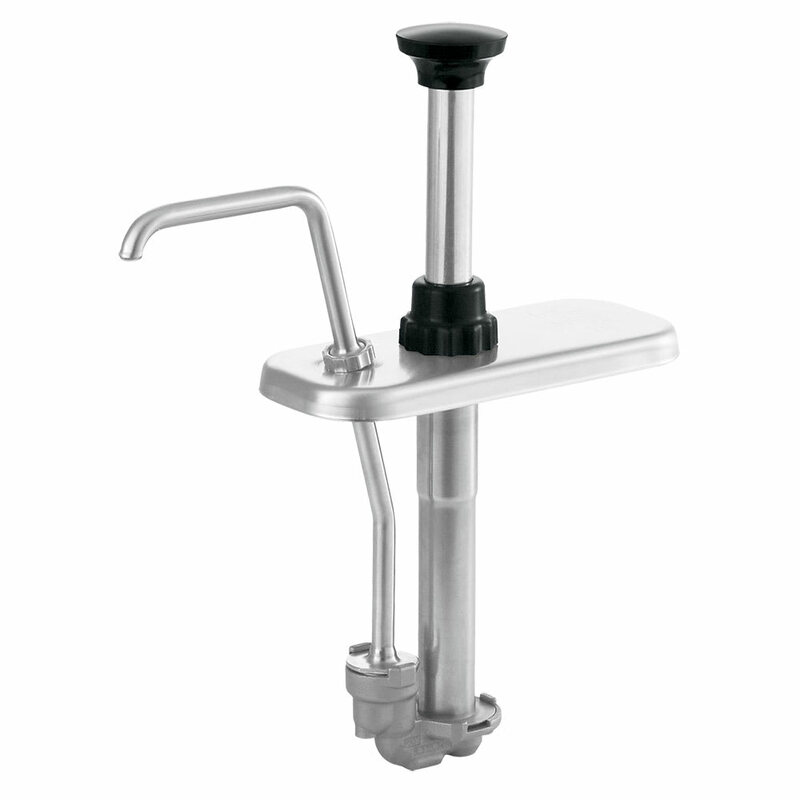 The Server 85310 syrup pump fits a 71⁄2-inch, 11⁄2-quart fountain jar, allowing you to increase the flavor options at your existing topping station. Adjustable in 1⁄8-ounce increments with gauging collars, there is a maximum stroke portion of 1-ounce. The Server 85310 syrup pump should be used to dispense thin syrups at cold or ambient temperatures. With a stainless steel construction, the pump has durability and corrosion resistance; this material is also easy to clean. 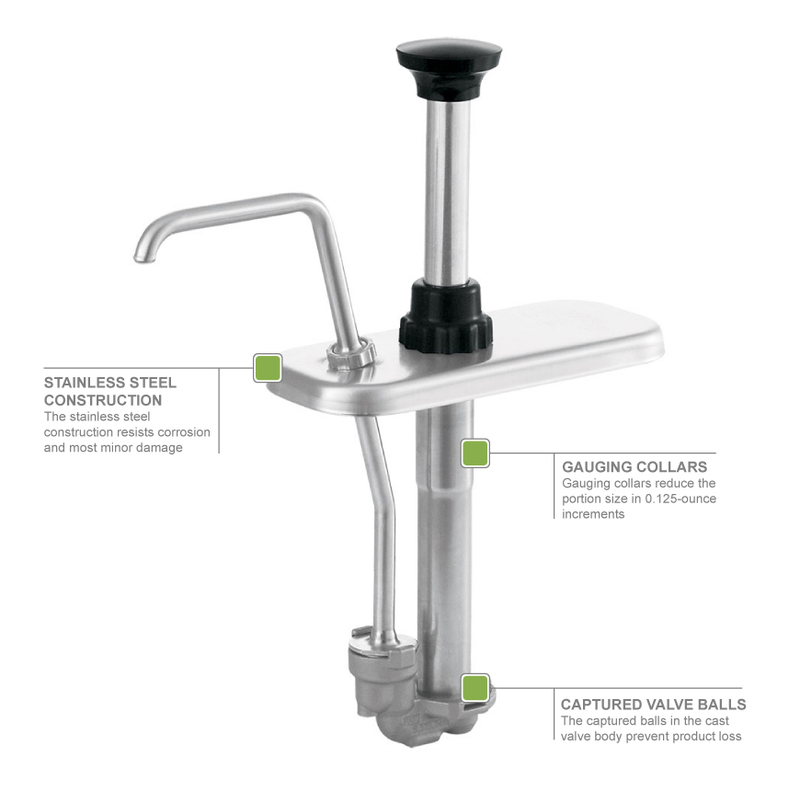 Product loss is prevented thanks to the captured balls in the cast valve body.